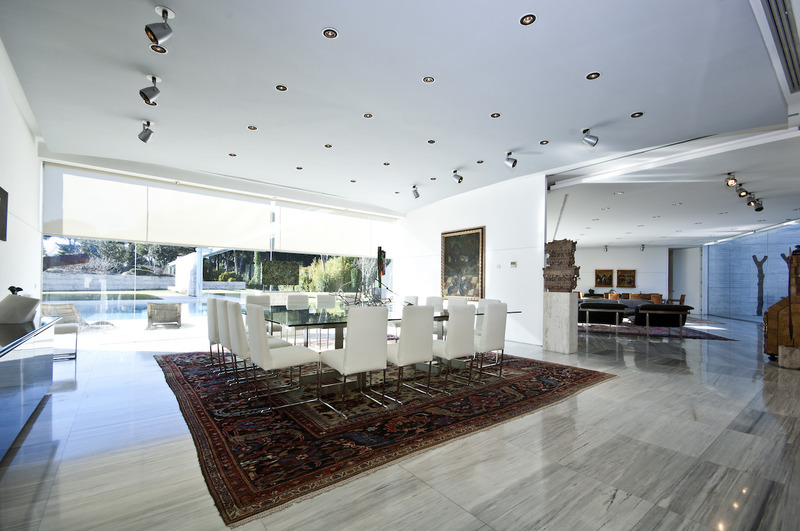 Villa Pozuelo Madrid could possibly be the perfect villa for rich owners. Indeed, everything starts with its prized address, in Lac Encinas neighbourhood in Madrid, where Spanish and expatriate elite love to stay, between El plantío and Pozuelo. Surrounded by a 10.000m2 landscape, the villa offers much al fresco relaxing possibilities. 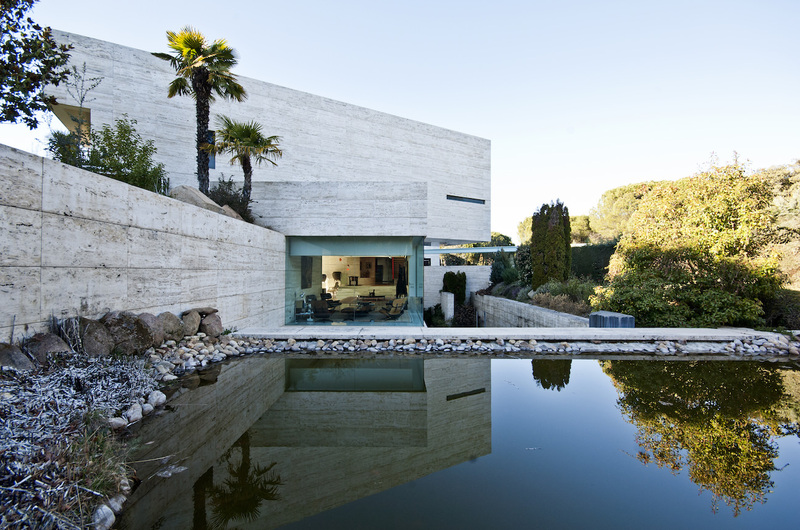 Villa Pozuelo Madrid’s modernity also stands in its architecture and impressive scales. 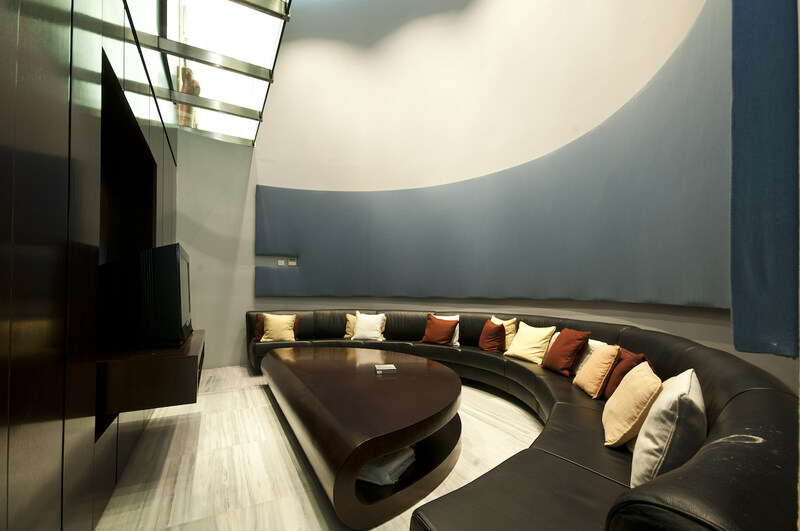 Walls with undisputable aesthetic surround the 2.400m2 of living space. 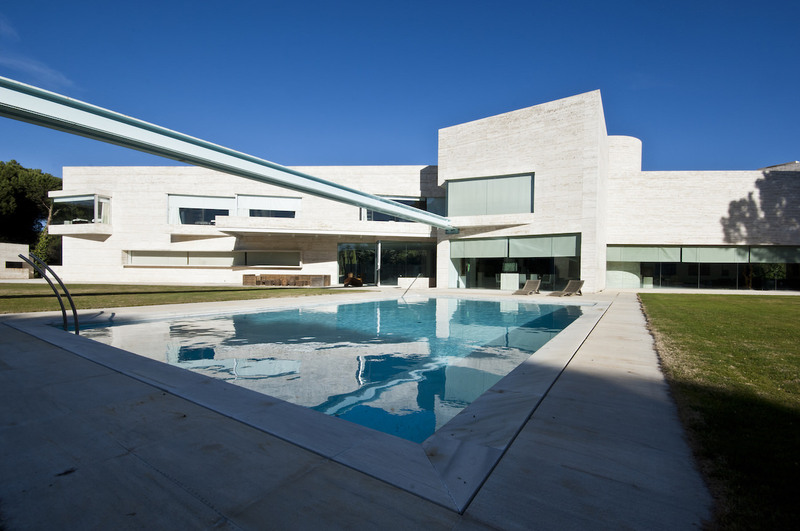 Symmetric and spacious, the villa expresses all contemporary architecture through its lines and geometric forms. 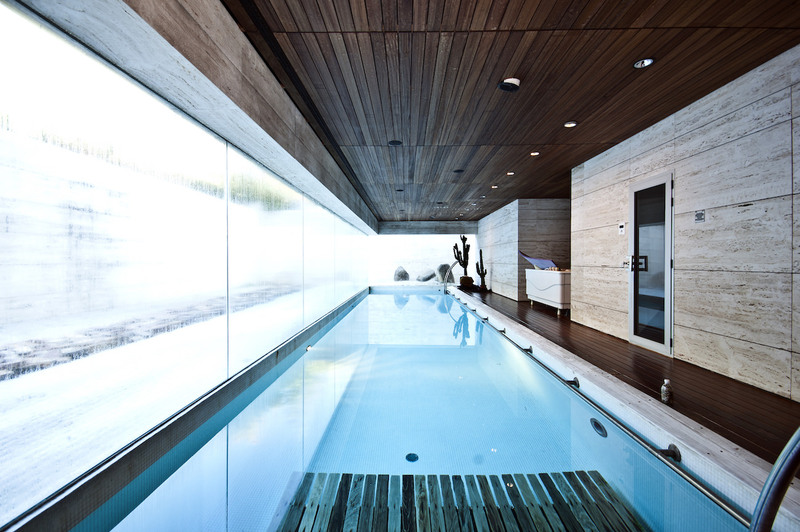 There is an impressive open-plan floor and the indoor spaces seem limitless. They are blending with the outdoor spaces via huge glass walls as well as the mezzanine with its glass floor. Inside Villa Pozuelo Madrid there is no column that obstructs the view and materials have been carefully selected such as concrete, glass, marble and wood. You will doubtfully impress all your guests with such space and unique style. Villa Pozuelo Madrid has numerous rooms that offer a multitude of entertaining possibilities for all your family and guests. A large library seems to be the perfect place to benefit from a peaceful moment, while seven rooms including a master suite with a sitting area as well as two staff rooms promises a maximum of comfort. 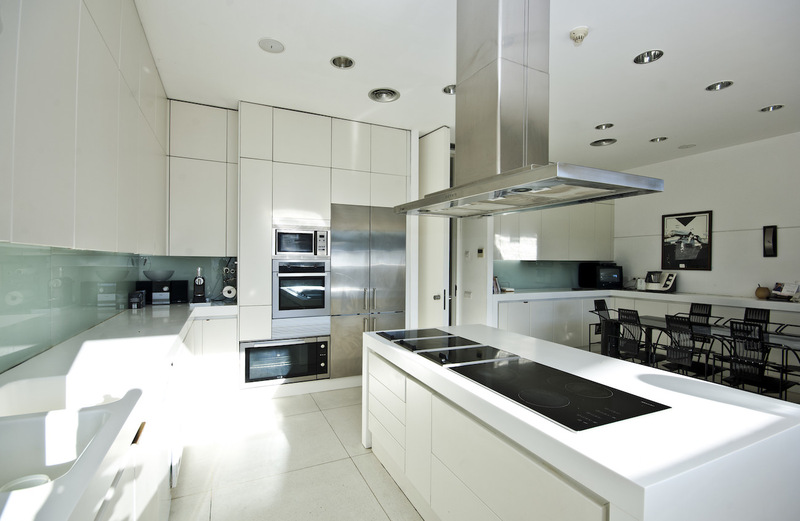 Concerning the kitchen, Villa Pozuelo Madrid offers a space that is as user-friendly as functional, equipped with all necessary and high-end furniture. Your family will surely appreciate great meals here or in the spacious living room / office, but also to navigate between the floors with your private elevator, or tasting fine vintages in the wine tasting area. 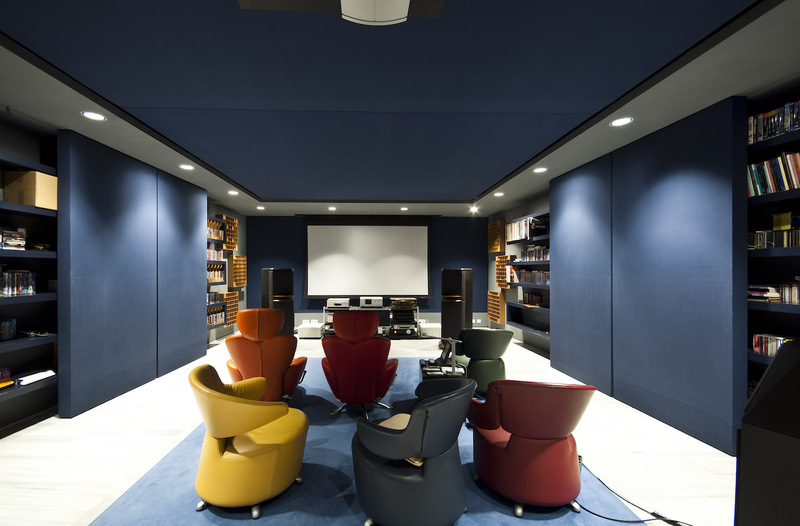 Of course, cinema lovers will try the cinema room while stressed people could relax in the spa, composed of a gym, sauna, Turkish bath, pool, massage and changing room as well as two bathrooms. Then, even the garage will please your guests with no less than 6 car park places. Concerning privacy there again no problem because the staff members have access to their quarters thanks to a discrete and distant entrance and this part of the house accommodates two bedrooms, a living room, a laundry and many storage possibilities. 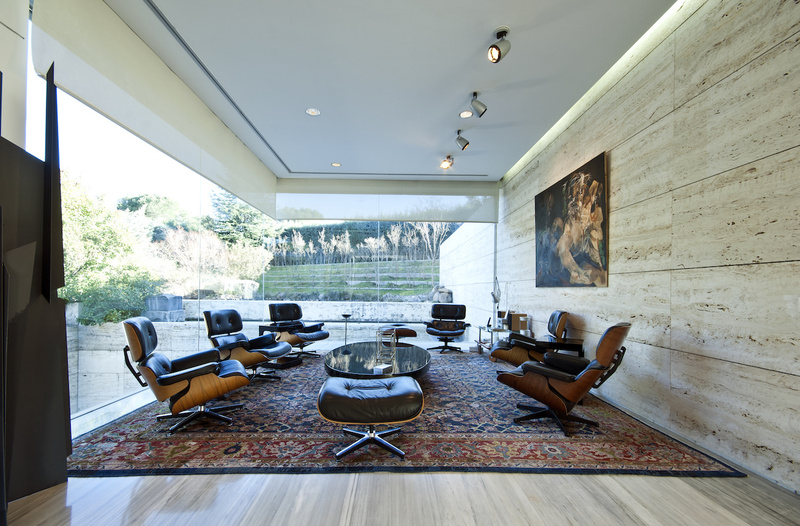 But such modernity, comfort and style in a single house certainly has a price, and Villa Pozuelo Madrid represents €10M. 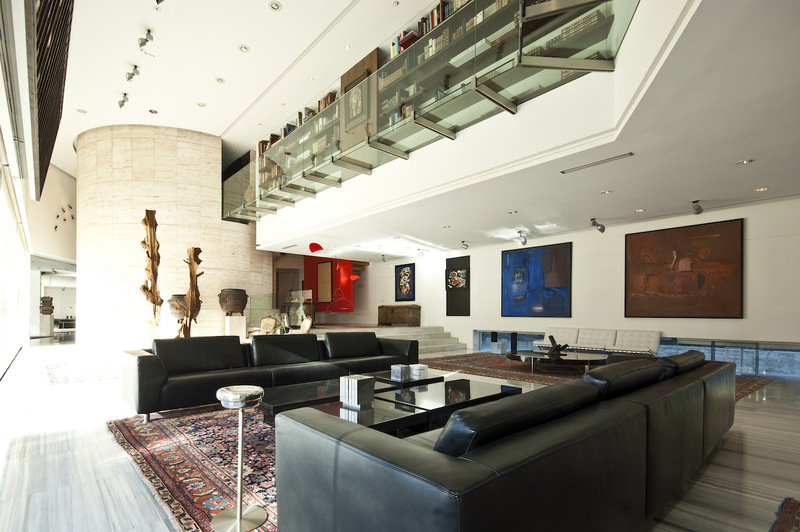 Share the post "Villa Pozuelo Madrid: perfect compromise between sophistication, modernity and serenity"